"Reaching the highest performance levels requires, above all, the right people. This statement featured in one of our company brochures in 1986 – and still holds true today." 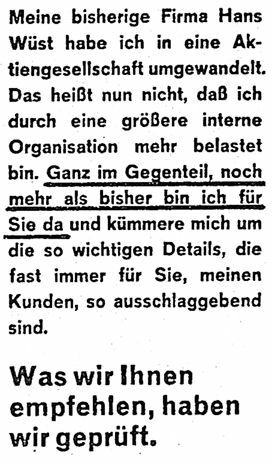 Interview with Toni Bächler and Herbert Wüst. With the new look, Intercity creates clarity and underlines its market position with its two specialist brands for management and marketing. 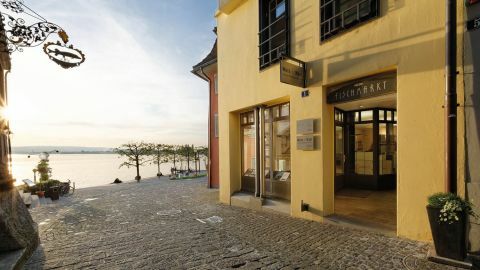 In December 2018, SPG Intercity Zurich AG acquires the building in Zollikon-Zurich – the first Intercityhaus in German-speaking Switzerland. The new, generously proportioned office space is ideal for flexible working and features the latest innovations and equipment. 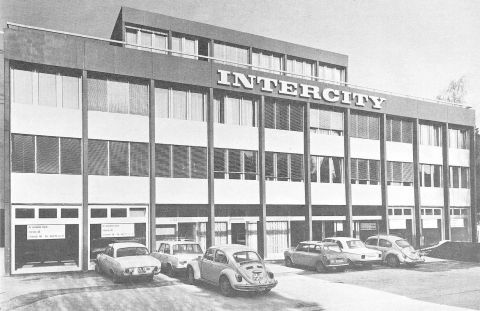 Intercity purchases and renovates the six-story, 1960s building, which is directly by the Jurastrasse/Baslerstrasse bus stop. Michael Wildhaber, MRICS, becomes CEO of Intercity Verwaltungs AG – Intercity Group’s management company. 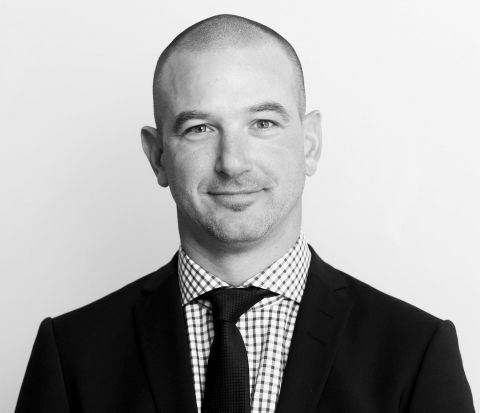 Robert Hauri, FRICS, becomes a partner in SPG Intercity Zurich AG and deputy CEO of the Intercity Group. The Wüst und Wüst Haus in Küsnacht-Zurich wins gold at the European ‘best architects’ awards 2016. 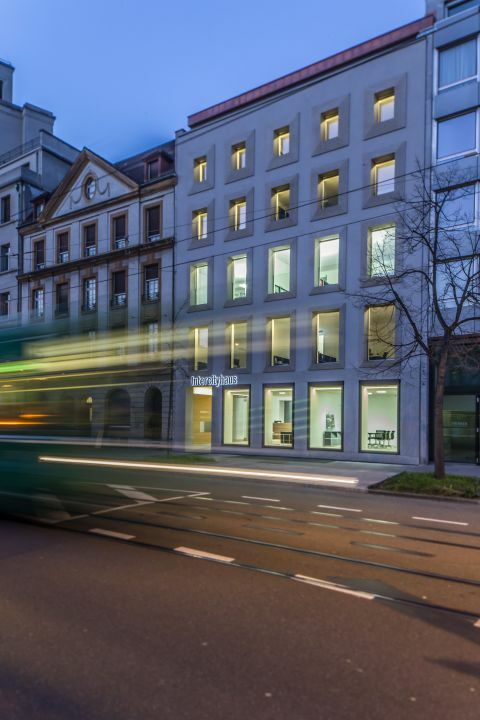 Intercity gets a new head office at St. Jakobs-Strasse 3, Basel. 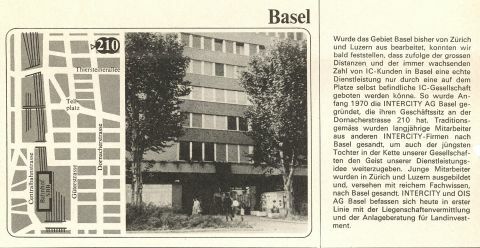 The seven-story Intercityhaus Basel, dating from 1860 and extended in 1967, in a prime position on Aeschenplatz, is purchased by Intercity, which appoints Selva Architekten to remodel the building. The distinctive building on Küsnacht’s Seestrasse was designed for Wüst und Wüst by the renowned architectural practice giuliani.hönger and has received several awards. 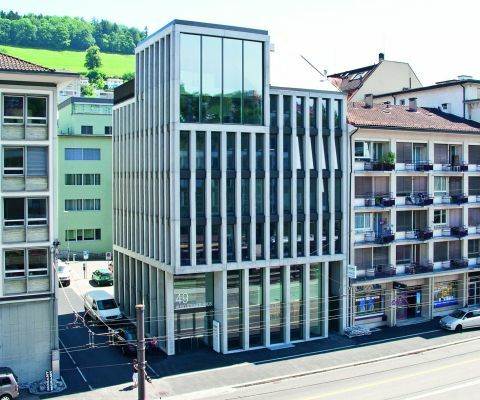 Intercity moves into its new head office at Alpenstrasse 6, Lucerne. 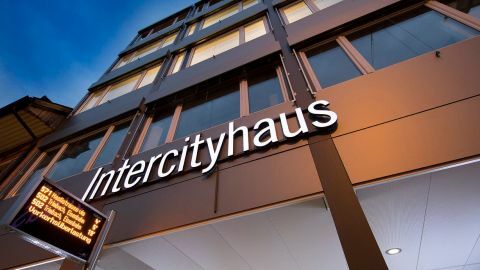 Intercity takes over the 10-story, 1970s corner property comprising about 2,000 m2 of floor space and located just a few meters from the old town and the lake. Intercity acquires a two-story head office at Könizstrasse 1, Bern. Intercity purchases the former Migros branch on Loryplatz, at Bern’s western city gate. 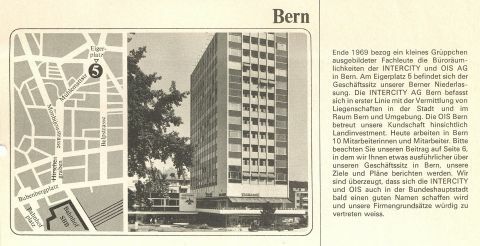 The Bern branch has since been merged with the Olten office. 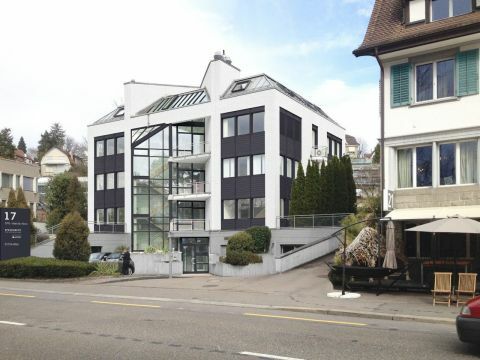 Hugo Steiner AG and Intercity move into their own head office at St. Leonhard-Strasse 49, St. Gallen. 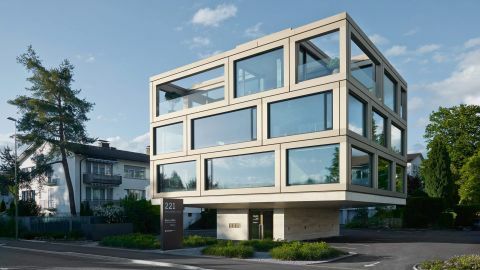 Set in a prime city location, just a stone’s throw from St. Gallen railway station, the 10-story Hugo Steiner-Haus is purchased by Intercity after a three-year design and build phase led by renowned St. Gallen architect Andy Senn. The first issue of “Real Estatements” appears. The Intercity Group’s newsletter is aimed specifically at real estate investors. 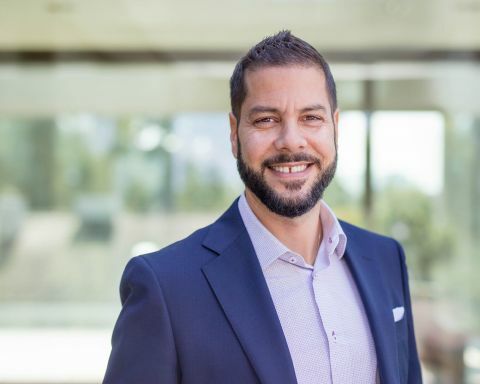 Robert Hauri CEO becomes CEO of SPG Intercity Zurich AG and a member of the Group management team. The Intercity and Wüst und Wüst branch in Zug opens at Fischmarkt 1. 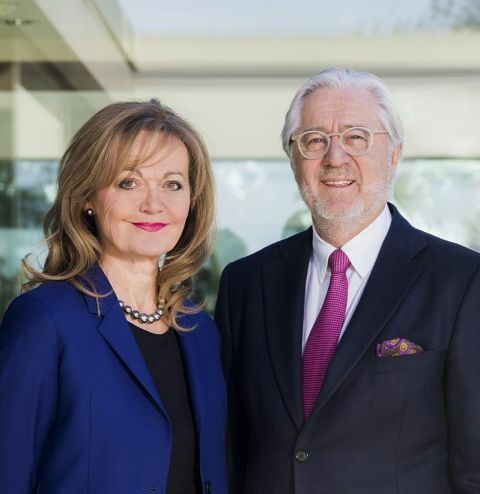 Herbert and Annelies Wüst purchase additional shares in Intercity Group Holding AG from Markus Wüst, thus becoming majority shareholders. Markus Wüst becomes chairman of the board of directors. 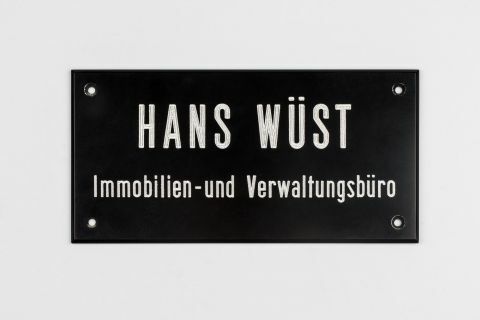 Wüst und Wüst opens a branch in Lucerne. Wüst und Wüst becomes an exclusive affiliate of Christie’s International Real Estate, the luxury property subsidiary of the famous auction house. Intercity-Verwaltungs AG opens a branch in Olten. Intercity and Exceptional Properties become Wüst und Wüst. The company’s tagline is: ‘Exclusive residential property’. Since 1954’. Inova Intercity Bautreuhand is set up in conjunction with Urs Hofmann. The company’s tagline is: ‘Expert guidance in construction’. 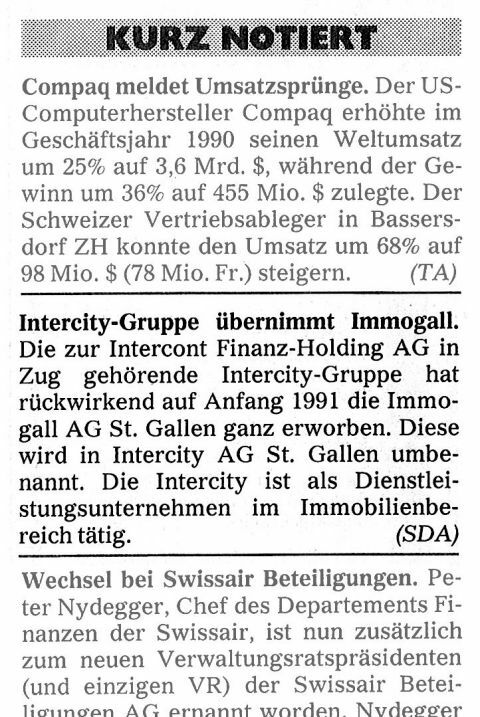 Intercity takes over Hugo Steiner AG, founded in St. Gallen in 1972, from consultancy firm Ernst & Young. Together with the Tamedia Group, Intercity sets up the agency network alaCasa.ch. Together with the Geneva-based family company SPG (Société Privée de Gérance), Intercity sets up SPG Intercity/Commercial Property Consultants as a joint venture. 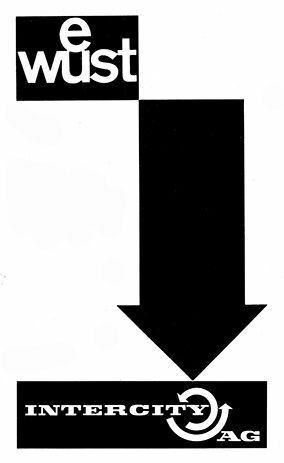 Intercity publishes its fourth progress report of the 1990s. 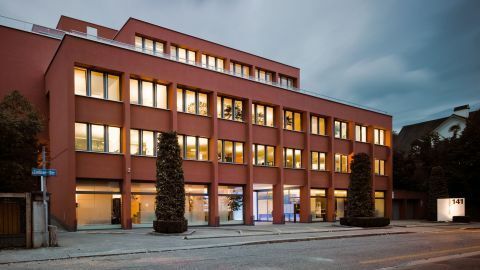 Intercity acquires its headquarters at Zollikerstrasse 141, Zurich. 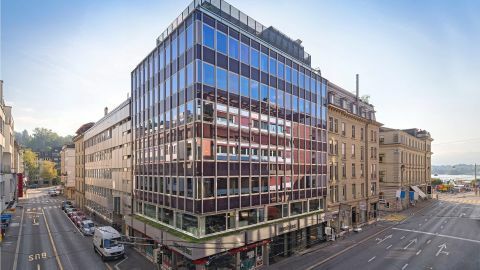 Intercity acquires the six-story building with about 3,000 m2 of floor space in Zurich’s Riesbach neighborhood that has been Intercity Group’s main office since it was established in 1972. Intercity publishes its third progress report. Intercity acquires Basel firm IT Immobilien Treuhand AG, established in 1953, from Georg von Opel. Intercity publishes its second progress report. 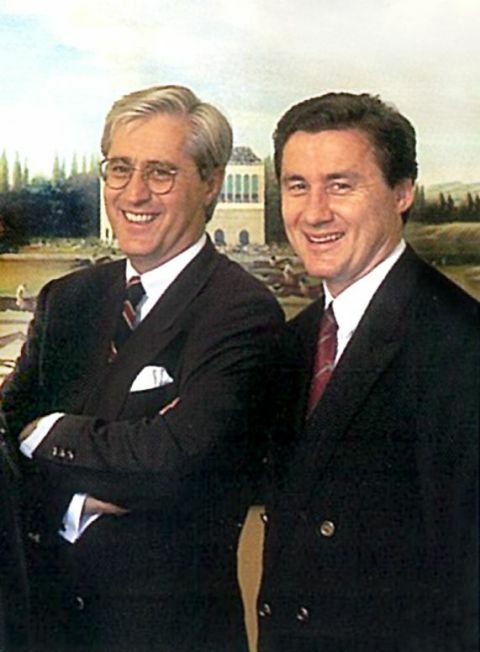 Intercity publishes its first progress report of the 1990s. The Intercity Group becomes an affiliate partner of the global real estate network of Cushman & Wakefield, then still Healey & Baker. 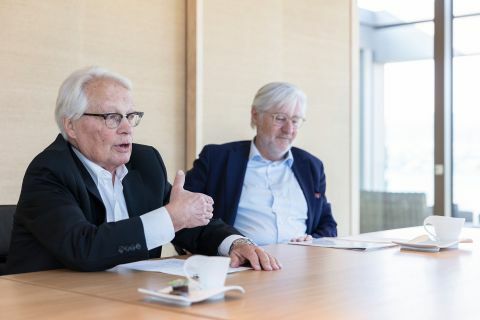 Herbert and Markus Wüst take over the family company in a management buyout. Markus Wüst, the second son of the company’s founder, joins the company. 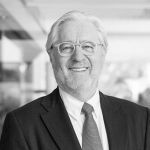 Herbert Wüst takes charge of the Intercity companies. 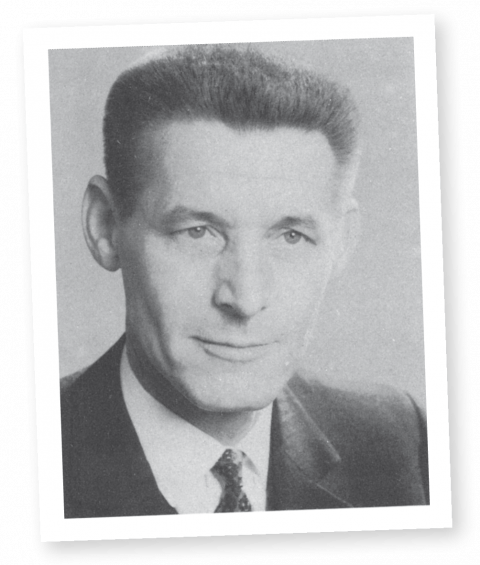 As a member of the management board, Herbert Wüst takes over the running of the Intercity companies from his father, Hans Wüst. In 1986, Intercity publishes a new company brochure and for the first time uses a tagline: ‘Our passion is your property’. Intercity opens a branch at Rorschacher Strasse 234, St. Gallen. 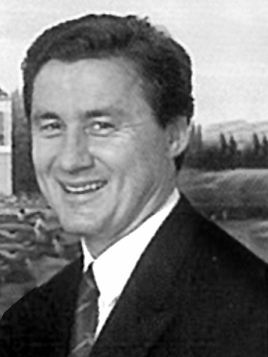 Herbert Wüst, the eldest son of company founder Hans Wüst, joins the company. Intercity relocates in Zurich’s Seefeld neighborhood, from Färberstrasse 6 to Zollikerstrasse 141. Intercity opens branches in Basel, at Dornacherstrasse 210, and Bern, at Eigerplatz 5. 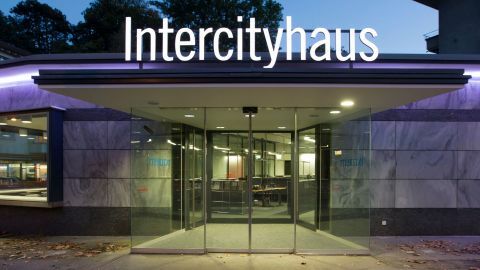 Intercity opens a branch in Zurich at Dufourstrasse 90. The sole proprietorship Hans Wüst is renamed Intercity AG. 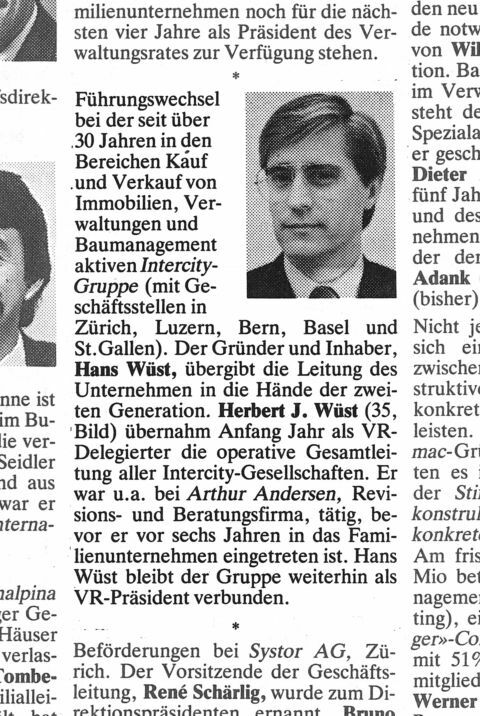 Hans Wüst sets up an agency in Lucerne.